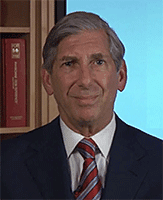 It has taken a century, but researchers are finally close to altering the outcomes of the most severe psychiatric illnesses, points out APA President Jeffrey Lieberman, M.D., in a video presentation posted this afternoon on the APA website. "New care models developed for early detection and intervention in psychoses, also known as EDIP, provide us with the potential to limit the devastating effects of these disorders," he says. "Through research we have learned that the earlier patients are diagnosed and treated for psychosis, the better they respond to treatment and the greater their potential for recovery. We also know that resilience, coping skills, and peer and family support are important contributors to recovery. The EDIP model is based on this research and focuses on early detection, multi-element team-based interventions, and sustained engagement with patients. The goals of EDIP are to enhance symptomatic remission, functional recovery, and prevent relapse and disability." Lieberman notes that while the EDIP model is influencing psychosis treatment in Canada, Australia, and several European countries, the U.S. has seen little progress on this front due to "the complicated and inefficient U.S. health care financing system, which often does not cover psychosocial and rehabilitative services." To enhance the quality of care in this country, Lieberman emphasizes, "We must challenge the configurations of the current mental health care services and reimbursement schemes and emphasize the importance of care at the earliest stages of psychotic disorders." To watch the complete video and others in this series, click here.